Hey everyone, sorry its been so long with an update. The rush of 2 holiday shows, plus christmas shopping…well, you get the idea. I have been listing new items like mad this past week, so make sure to check out my shop for some unique christmas ornaments and gift ideas. 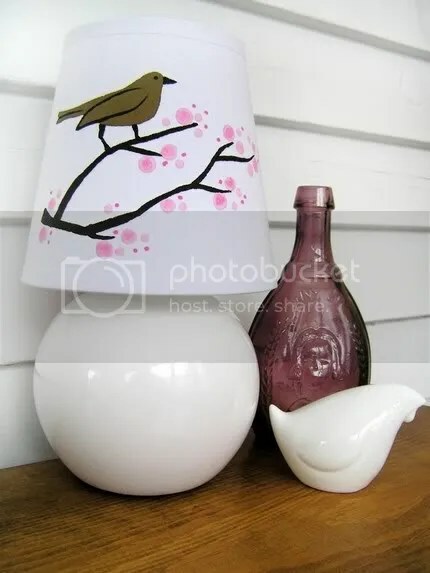 My Limitied Edition On A Limb Cherry Blossoms lamp was featured on Haute Innovations which is an idependent artist blog. Rudy is back! This year, rudy is a little bit brighter green. I only have a few left so if you missed your chance to get one last year, now is your chance to snag one! I will be featuring a few new Etsy shops next week, so stay tuned!